PGA Portable Gas Analyser - Raya Scientific Co. 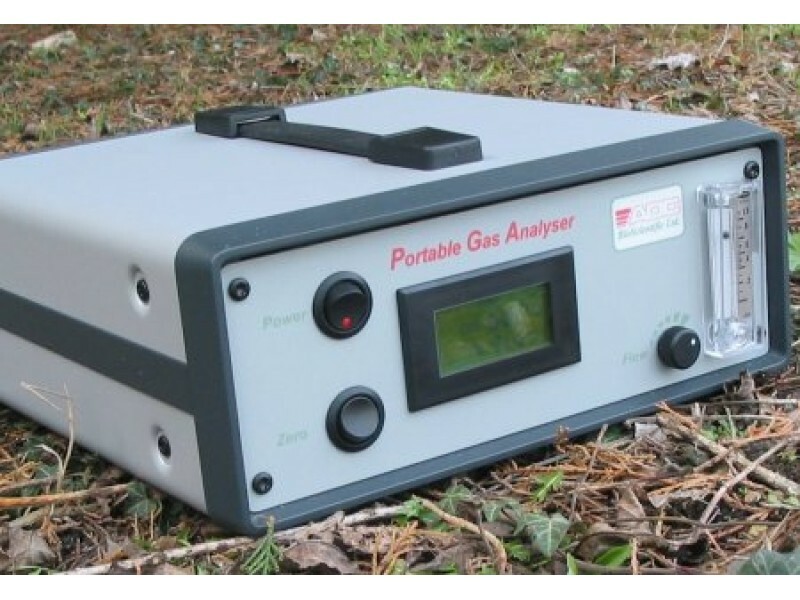 The PGA Portable Gas Analyser is a battery portable instrument for the intermittent, short-term monitoring of gas concentrations. Single or dual gas versions are available utilising a highly accurate infra red gas analyser and/or an electrochemical cell. Instrument status and gas concentrations are clearly displayed on the backlit LCD display. To ensure long-term stability of gas readings the units zero calibration can be initialised by simple push button control. The PGA’s electrical supply is from an internal lead acid battery or from 110V/240V AC via the supplied battery charger. Sample flow is regulated using the integral sample pump speed controller and can be visually monitored by the front panel flowmeter.